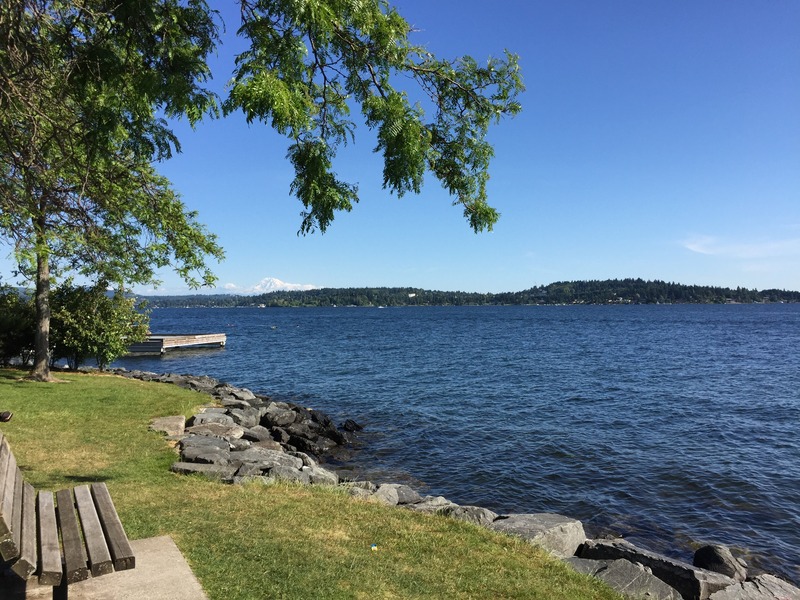 Day 5 (June 5, 2015) – Spokane, WA to Seattle, WA (279 miles). So far, this was the scariest (for me) drive through the mountains, with the best views and the most beautiful landscape. The scenic viewpoint that I mentioned in the last traveling post actually happened today – but right now I’m feeling too lazy to go back and correct it. 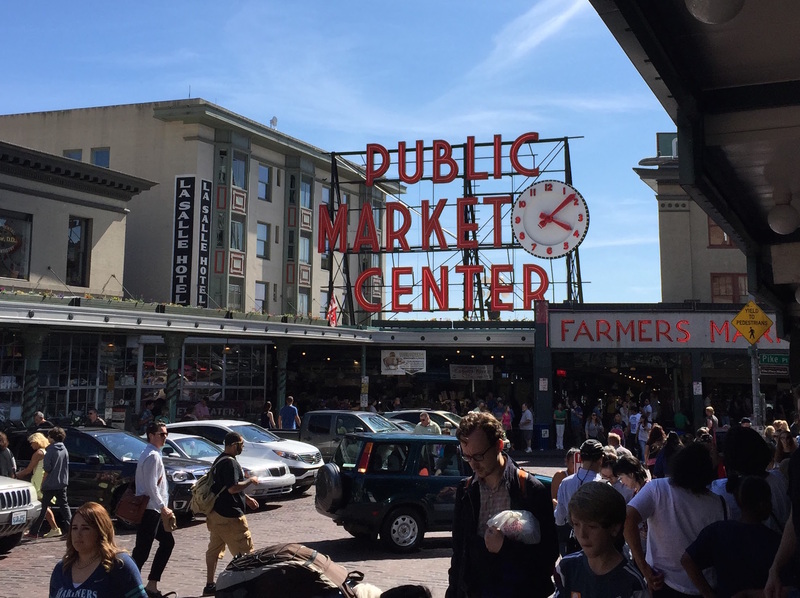 Drove to downtown Seattle, found a lucky parking spot, and took about three hours to walk through the famous Pike’s Place Market. 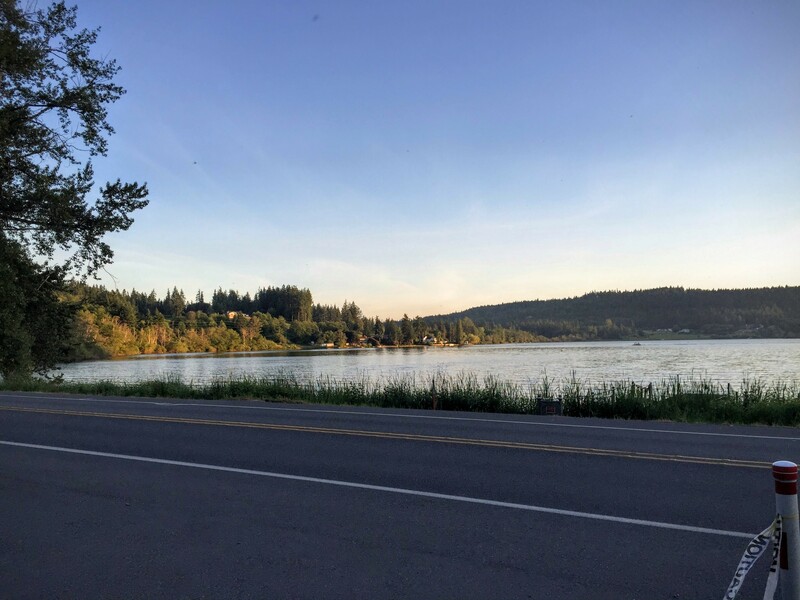 We left Seattle and made the short drive to Medina – we stayed with friends who live in the neighborhood where Bill Gates lives. We didn’t drive by his house, and we didn’t even know that Gates lived there when we went, it just seemed interesting to note. Dinner, chatting, and sleeping, and we were ready for the next day. 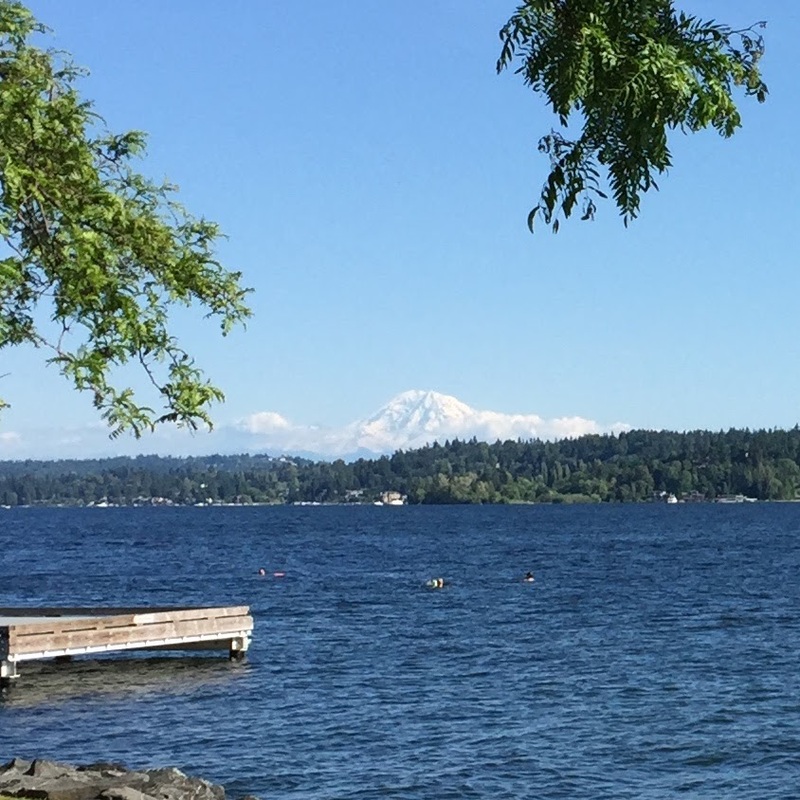 This area is home to Mount Rainier, the volcano that seems to loom over everything, although it is beautiful to look at. My phone didn’t really capture the enormity of the volcano in the background of the beautiful lake scene – pictures are never like being there. 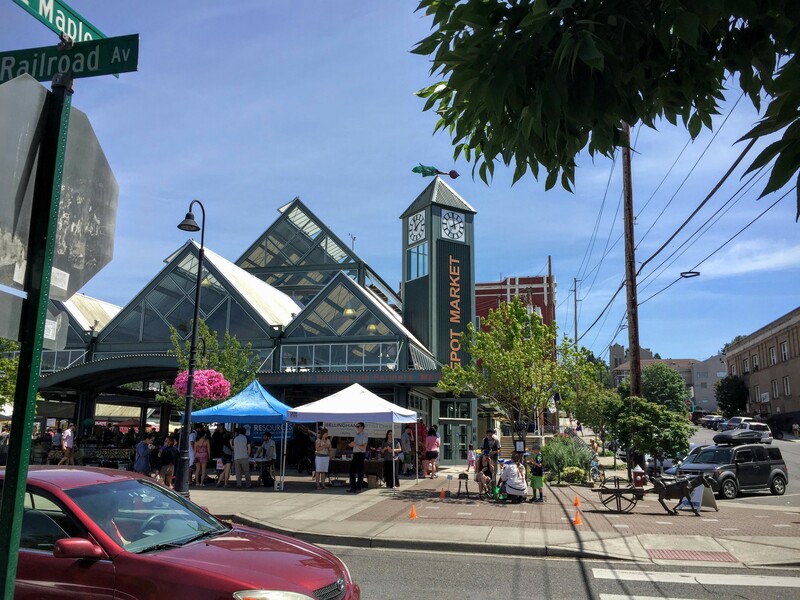 We left Bellingham and headed to Anacortes, our next destination. As we neared our friend’s house, we drove over a two-bridge scenic view called Deception Pass, which is worth checking out online, though I didn’t get any photos of it myself. 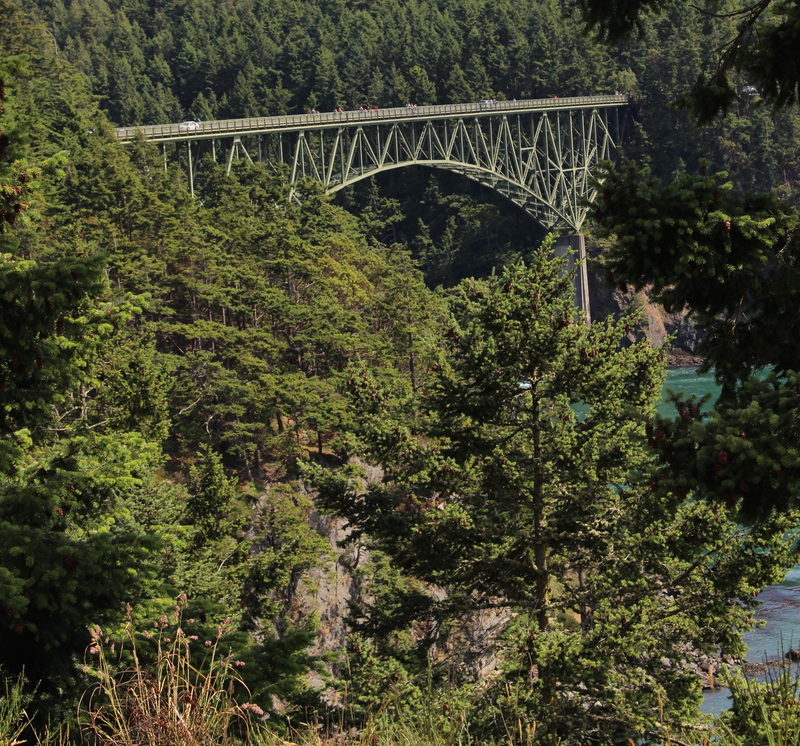 Deception Pass – I stayed in the car, but Janelle got out and took some pictures. After visiting our friend, we headed closer to the Anacortes Ferry Terminal for our trip tomorrow by ferry to Sidney, British Columbia, Canada. We got lucky, and found a motel, Lake Campbell Lodging, that had their vacancy sign out. We spent the night across from the lake – like right across the road from the lake. It was great. Janelle and I ate dinner sitting out front of the motel, looking at the water and boats. We went to bed looking forward to our boat ride to another country. 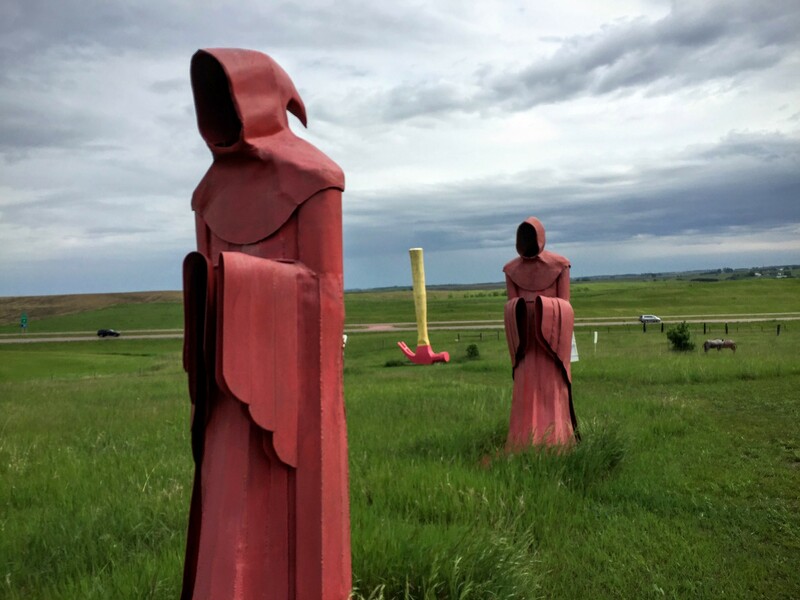 Day 3 (June 3, 2015) – Sioux Falls, SD to Billings, MO (660 miles). 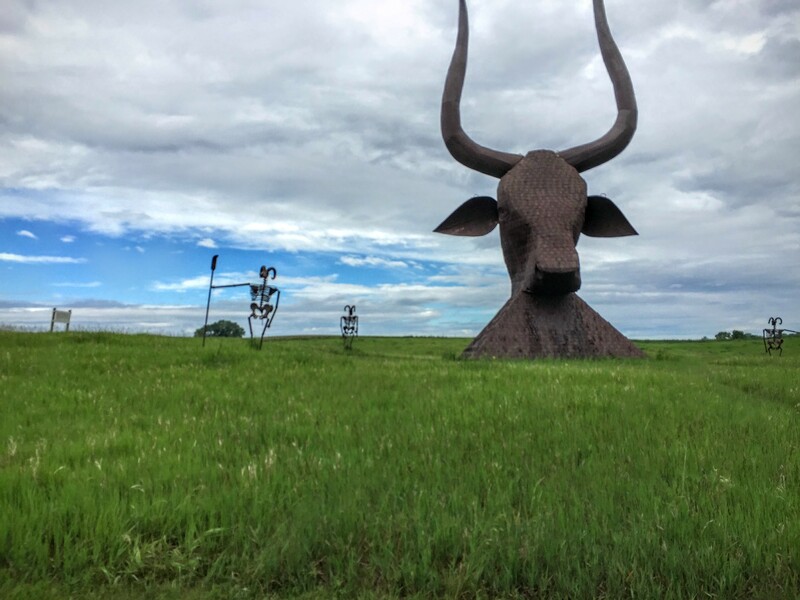 Stopped in Montrose, SD not too long after we started out because we saw a giant metal sculpture of a bull, and that is usually how we go sight-seeing. Something catches our interest and we stop. It turned out to be Porter Sculpture Park, and we talked to the artist, Wayne Porter, for a while, and paid to walk through the sculptures ($8 US per person, Amelia was free. He offered us a golf cart to drive through the park because we were carrying a baby, but we declined – too much driving, the walk sounded great. (I have a link to a gallery of my photos I took at the park here. 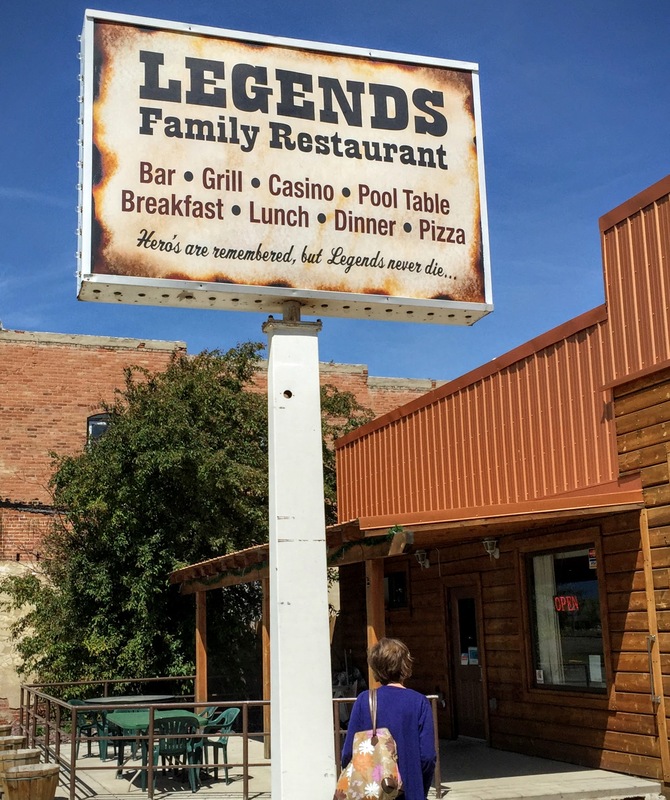 I also have a standing offer to stop by when I have more time and have a beer with Wayne – which is now on my list of things to do. But not this trip. We also made a quick stop at the (apparently) famous Wall Drug Store in Wall, SD. It was a little too touristy for our tastes, but they had diesel for the micro-van (VW Golf).